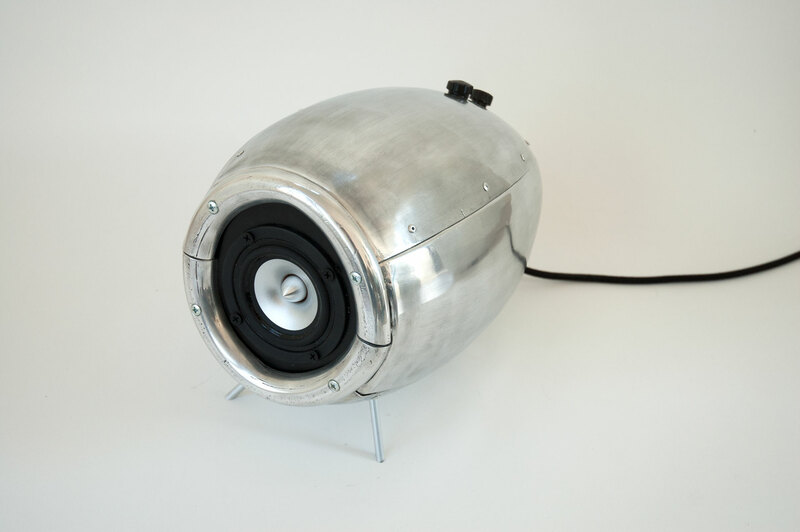 Bluetooth mono-speaker inspired by traditional metal forming techniques like the English Wheel. In this speaker my passion for the coach builders of the previous century was combined with digital techniques like the CNC milled wooden buck. 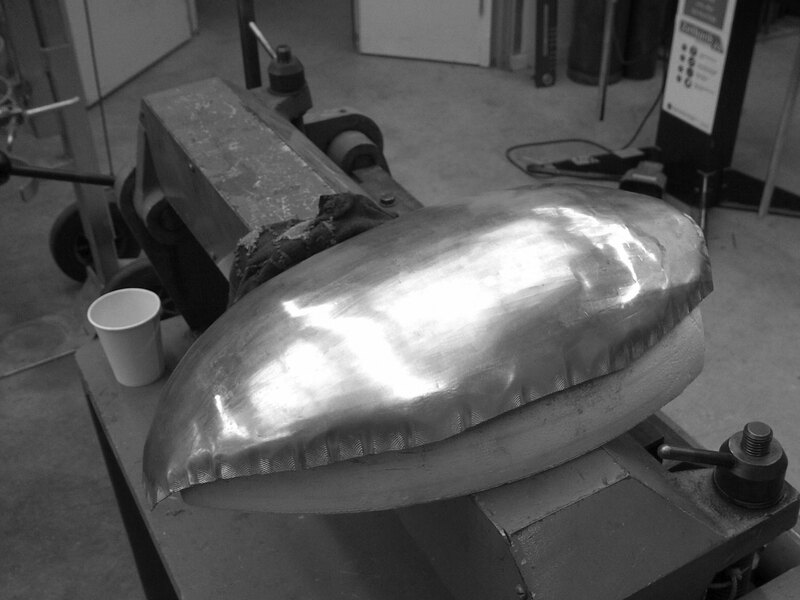 An unique aluminium handcrafted product was created – by Bas Froon. Fascinated by the traditional panel manufacturing techniques used by car builders in Italy and England in the previous century. By using old machines like the ‘English Wheel’ combined with CNC milled wooden buck an unique handcrafted product was created. 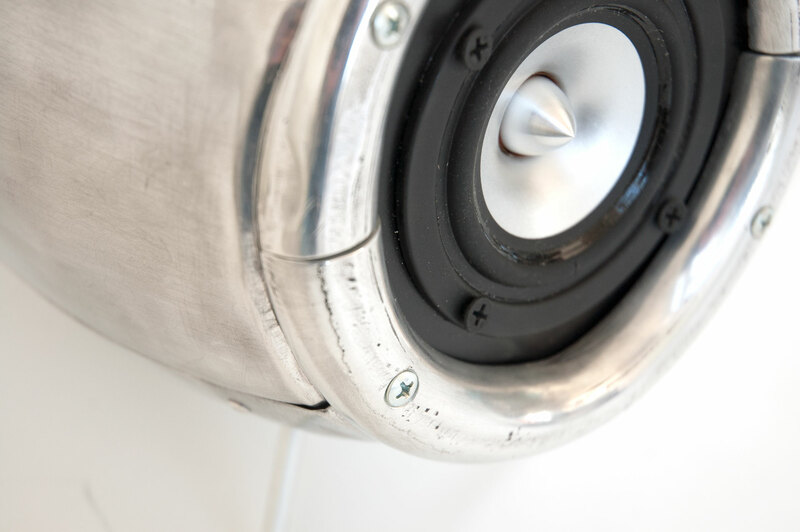 Type-One is an integrated mono speaker/amplifier that connects via bluetooth or line-in with your laptop or mobile phone. It consists of a MDF inner shell, cladded with thin gauge hand shaped aluminium. 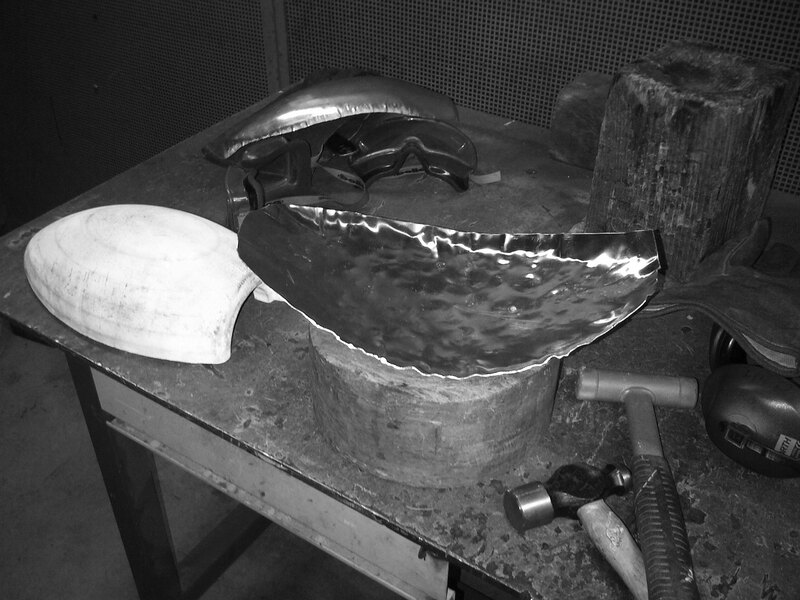 Forming the aluminium by hand using the english wheel and shrinking tools. Step by step the desired shape was reached and test fitted on the buck. 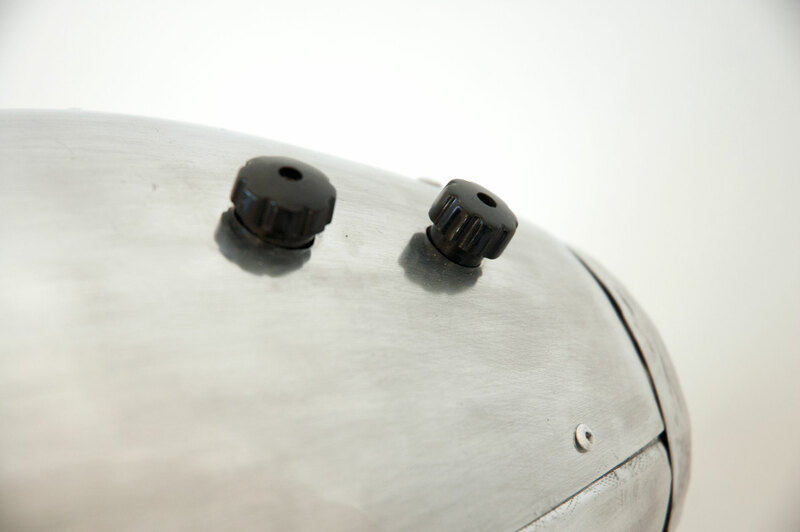 Because the buck was also used as inner shell of the speaker, the sound quality is very high compared to its size.